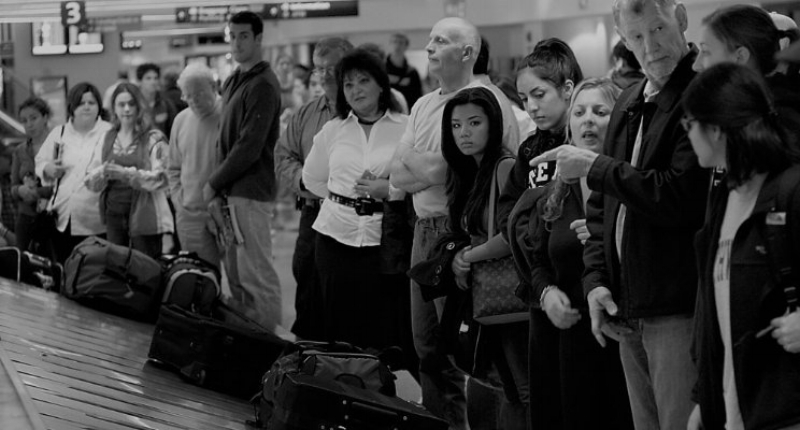 When it comes to airports and business travel, it’s the waiting that's the worst. Right? Invest in some multi-compartment carry-on monstrosity that evokes the white-blinding rage of the 200 people in the boarding line behind us, as we try to JAM it into an overheard that’s actually 12 rows from where our seat is located. The pain of waiting for baggage was just issue that a Houston airport was dealing with a few years back. As the New York Times reported, this was a customer-relations nightmare. Passengers at this airport were lodging an inordinate number of complaints about the long waits at baggage claim. So, in response, management reacted and increased the number of baggage handlers working that shift. In a nutshell, they added MORE people on the job to handle the bags. The wait times for bags tumbled to an average of eight minutes - well below what travelers were experiencing before and well within industry benchmarks across other airports of similar size and traffic patterns. But, the complaints didn’t stop – they didn’t even slow down. So while the “solution” of MORE baggage handlers fixed the perceived ISSUE (wait time) the customer was still complaining! Before I get too far into the story, you may be asking – what the hell does this have to do with sales? Well, how many challenges have we faced as a sales community that we thought MORE of something would help us fix? So, like the man says….how’s THAT been working for you? 4 out of 5 sales managers routinely miss their FORECASTS – let alone make quota. Will more sales people, more sales training, more activities entered in the CRM – will that help you get those numbers up? Is “more” the real solution? Or better question - what is the “real” problem? What the executives at the airport mistakenly assumed was they believed the complaints they were receiving from their passengers were about the TIME (the actual number of minutes) it took to get the bags. It was an honest mistake – everything they knew told them that if they simply reduced the amount of time it took to get bags out of the plane and into the terminal, then the problem would be fixed and people would stop complaining. It took seven more minutes wait for their bags. So, even with a stellar time of EIGHT MINUTES from the cargo hold to the carousel, roughly 88% of the time their customers were still just standing around waiting for their bags! So what happened after the airport executives stopped thinking they knew what was best because they had “seen it all”, humbled up and actually looked at the data from their customers? They realized it wasn’t the number of minutes that was the problem – 8 minutes or 18 minutes…it didn’t matter. What mattered was the perception of the customer that their time was being wasted. So they came up with a radical idea – change the workflow and move the arrival gates FARTHER away from the main terminal. At the same time route bags to the OUTERMOST baggage carousel. The effect? Passengers spent seven minutes walking to the baggage claim and spent one-minute waiting for bags. Complaints dropped to near zero. And no one complained about the walking even though passengers had to walk six times longer to get their bags! Because remember what I said at the top of this article – it’s the “waiting” that’s the worst! And I even said “Right?” and in your head you most likely agreed. Go back and look at the first sentence of this article – I’ll wait here. If you’re reading this far into this article, you’ve probably been in sales for a while. On the cusp of 2017, we have a treasure trove of data at our fingertips as sales professionals. As salesperson in 1980 or 1990, could you imagine having LinkedIn? I mean seriously – I used to have to bribe guys on the loading dock with donuts to find out who was the IT Buyer – now I just dial up LinkedIn and BOOM, I know who the buyer is, where they’ve worked, where they went to school and what they like and dislike. On top of that, there are COUNTLESS surveys of B2B buyers that illustrate exactly what our customer's perceived challenges are. If that wasn’t enough - how many of us have robust customer success or support departments that could write books (or databases) on what our customers need from us? The fact is the modern B2B customer is more technologically astute, more business savvy and more transparent than ever before. We know more about them and their processes than we ever did. And yet, many of us in our sales community still cling to the tradition of MORE. More calls, more activities, more meetings, more demos, more hours working. More is the only way some sales leaders look to increase sales, increase revenue, increate market-share. We don't take into account what our customers are perceiving their experience with us to be - because our years of experience tell us that all we need to do is do "more" of something and we will fix the problem. Here's the thing: If our customers aren't buying what we are selling, how will doing more of what we are already doing fix the problem? Maybe, just maybe, we need to do something "else." Something different. Personally, I am done with “more” being my stock answer to every problem my salespeople bring to the table. I am smart enough to know that I don’t have all the answers – but I’m also smart enough to know that the “same answer” isn’t the “right answer” to every question. Don't get me wrong - I am not against "more." Sometimes "more" can be the answer. I just tired of hiding behind it, like a shield protecting me from the truth, from change, from the future. I’m interested in your feedback – is MORE enough or do we have to start thinking differently about solving the problems we face in B2B sales? Let me know!